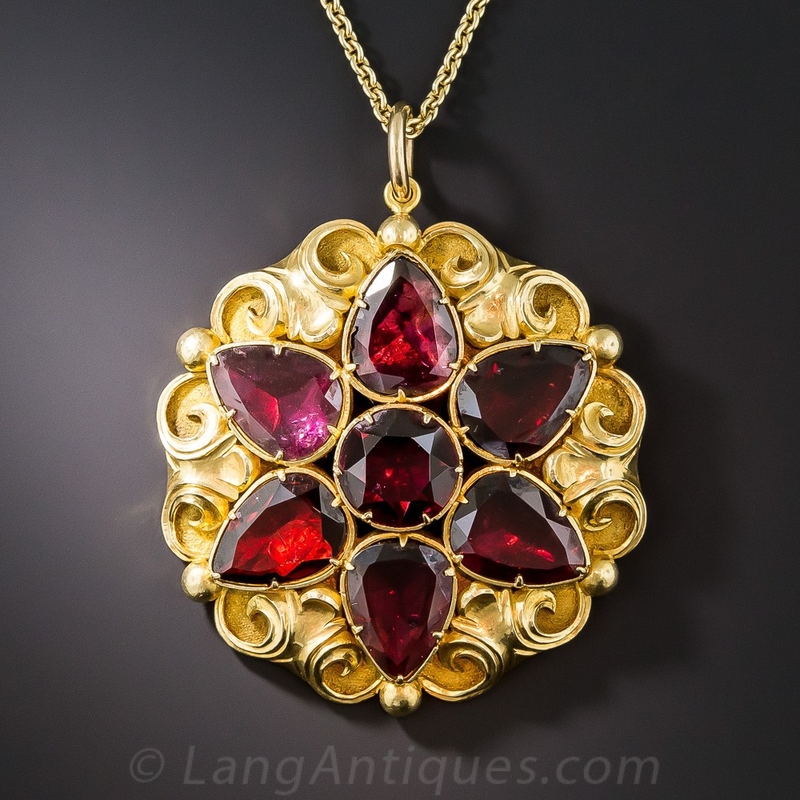 The earliest pieces at Lang date back to the Georgian era, spanning the early 1700s to the mid 1800s. We don’t like to think of these jewels as the oldest, but simply the most experienced! 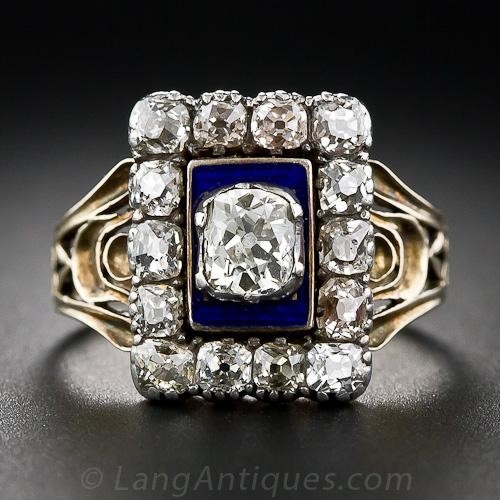 While these certainly aren’t the most practical gems in our collection, what they lack in durability they make up for in fascinating history and elegant, romantic design. 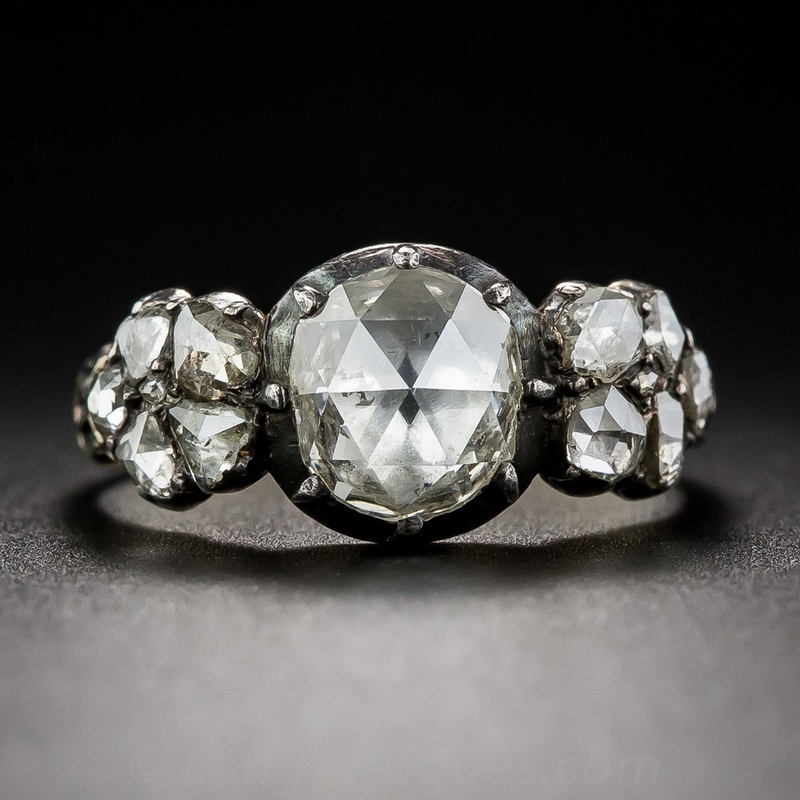 For antique jewelry lovers, nothing says “Georgian” like the rose-cut diamond. Named for its resemblance to the flower, the domed top of this delicious, chunky cut is unmistakable. Progress in candle-making filled the homes of 18th century jewelry collectors with the perfect glow to showcase these delightful stones. Diamond-cutting skills may have improved dramatically in the subsequent 200 years, but these pieces prove that creativity and craftsmanship are truly timeless. 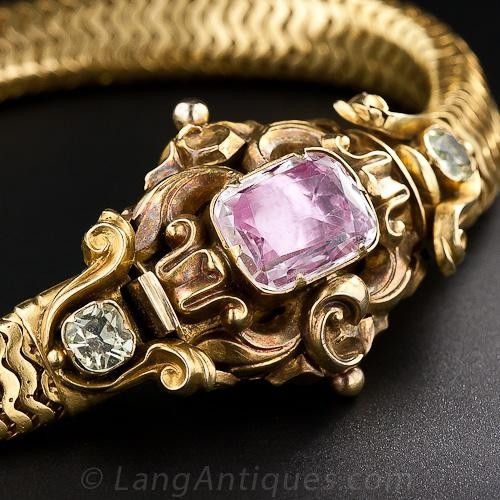 Georgian jewelers were also fond of colored gemstones, especially garnet, topaz, and emerald. 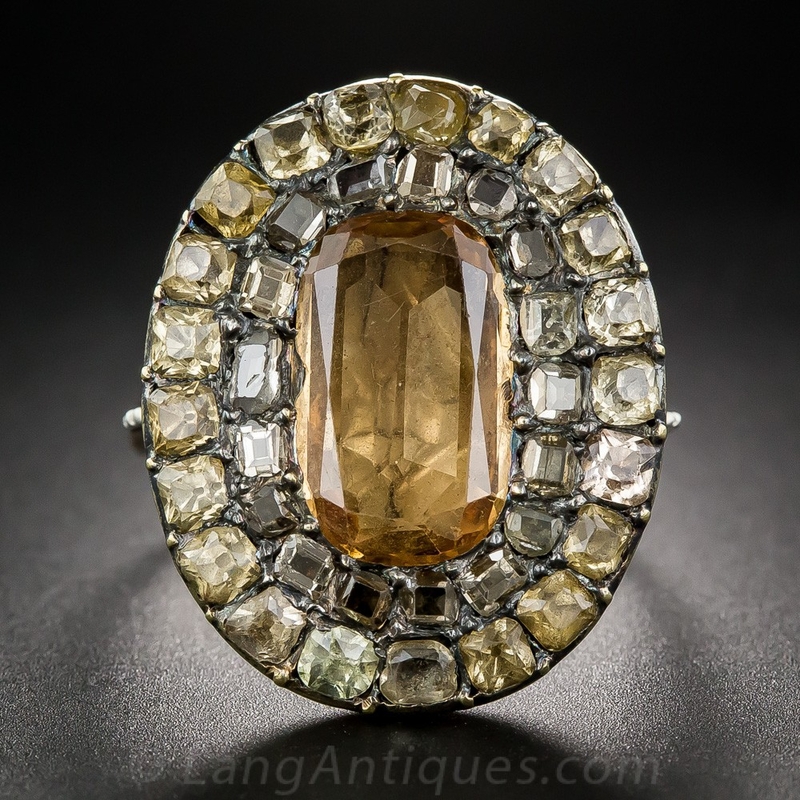 These stones, like their diamond counterparts, usually appear in closed-back settings, often with a tinted or silvered copper “foil” backing used to enhance the jewel in candlelight. These pieces make excellent collectors items, but require careful treatment when worn, as foil-backed pieces should never get wet. Nonetheless, this technique is considered iconic of the time period, during which the wearers of these jewels were very rarely doing the kind of tasks that today we take for granted. Like the Victorian era that followed, Georgian jewelry has a distinctly sentimental streak—and we mean that in a good way! Portrait miniatures, mourning jewelry, and even jewelry incorporating the hair of a loved one were popular gifts, memorials, and love tokens. 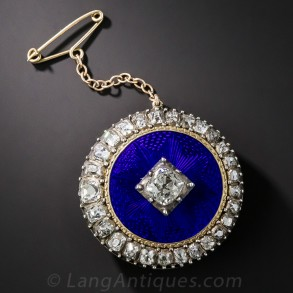 While these may seem a bit odd to us now, they would not have been remarkable in an 18th or 19th century jewel box. After all, any material—from diamonds to bog oak—is only as precious as we collectively agree it should be. 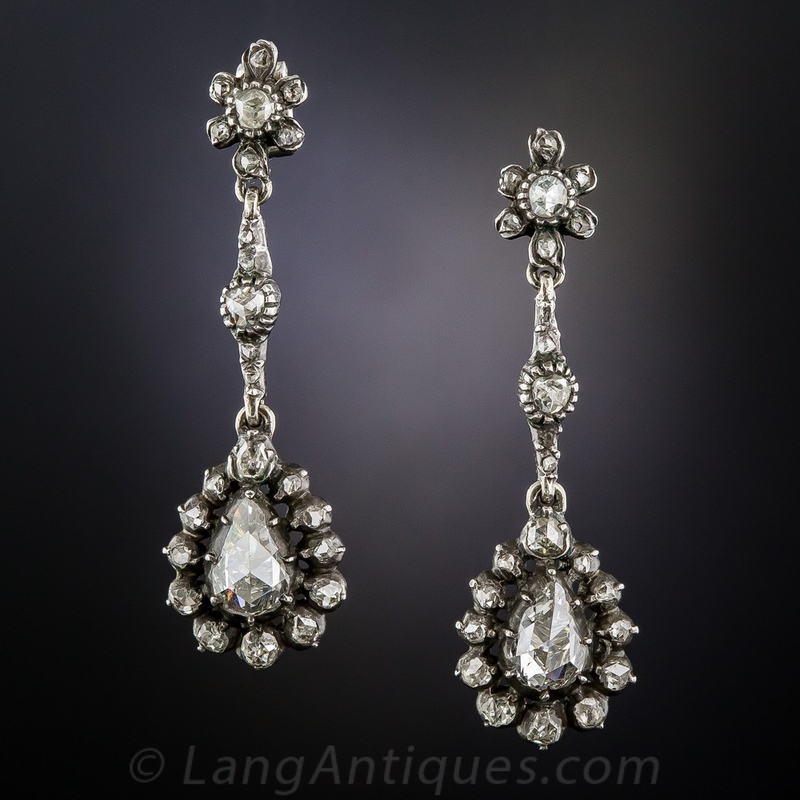 Of course, Georgian styles didn’t simply disappear with the ascent of Queen Victoria—many of these design elements can be seen in Victorian era jewelry and beyond. 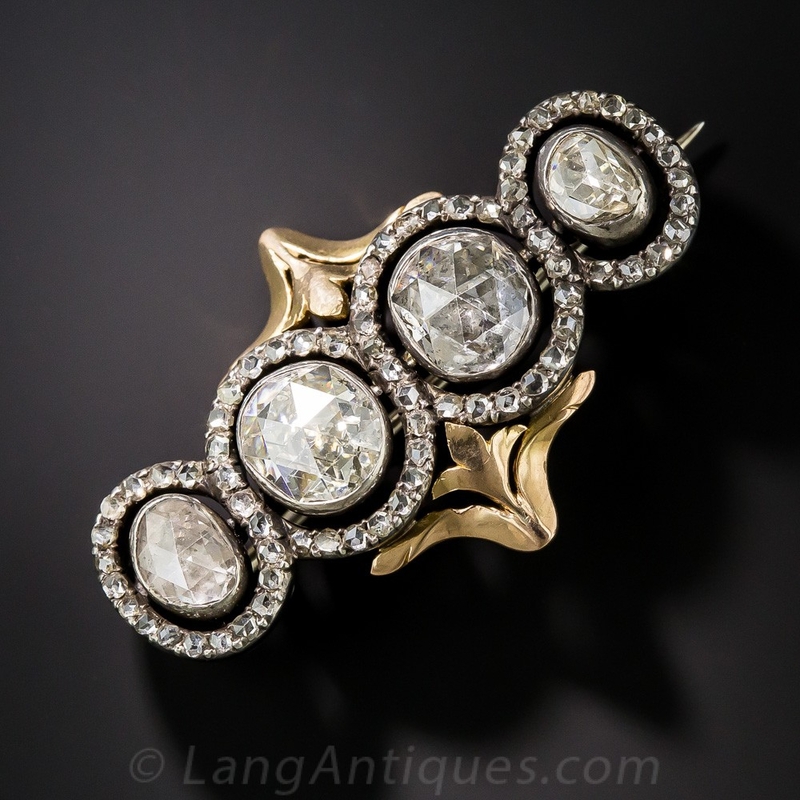 The rose-cut diamond especially enjoys a boost in popularity every half-century or so, as can be seen in some Victorian, vintage Georgian-style, and even a few contemporary gems in our inventory. 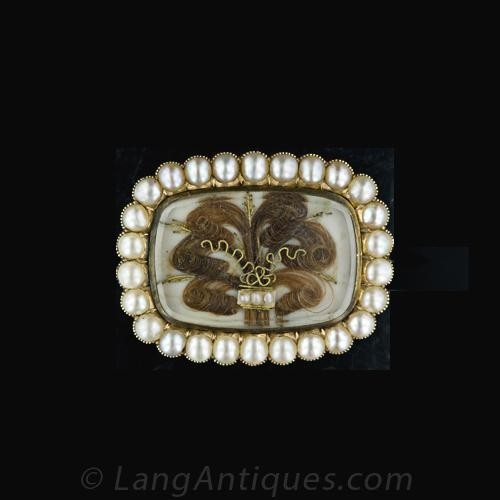 Learn more about the Georgian Era and the history of Georgian jewelry on our sister site, Antique Jewelry University.